Give the gift of friendship and tenderness with a Giant Teddy stuffed valentine teddy bear like Brownie Cuddles. An extremely cute and huggable teddy bear with a heavenly plush chocolate brown teddy bear coat. Its big brown eyes are filled with a lively twinkle, an expression of the love and kindness that extends to Brownie's new home! Its chubby nose is made of smooth velveteen fabric; divinely soothing to the touch. 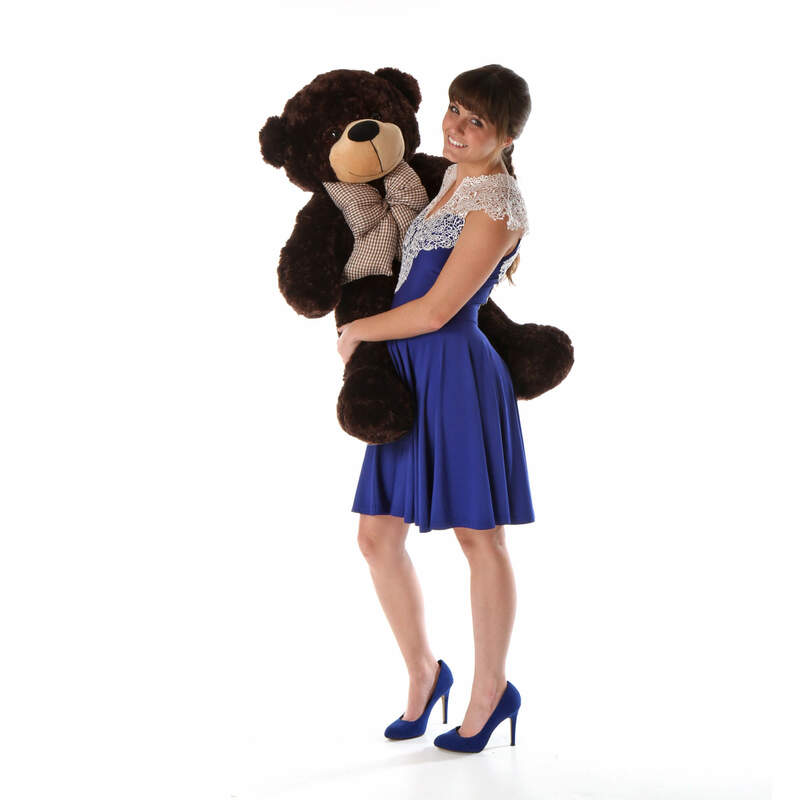 This precious bear measures 38" in height and is also available in larger and smaller sizes in a kaleidoscope of colors. It wears a dashing checkered bow that adds the right touch of whimsy to its design. Being well constructed, durable, made with child safe fabrics and meeting or exceeding all US safety standards guarantees that Brownie Cuddles is perfect for snuggling! A wonderful collectible, as all Giant Teddy bears are! The bear arrived in a timely manner. He was very soft and well made. This bear was exactly how it was described. It's the perfect gift for a friends Birthday. Thank you for sending it on time. Rich colors, extremely soft, and high quality.